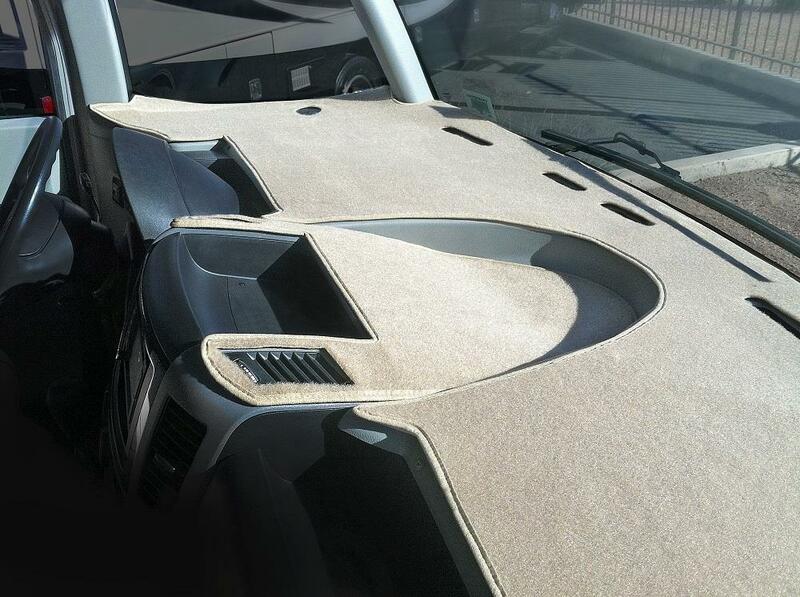 Dash Designs Custom Fit Carpet RV Motorhome Dashboard Covers - California Car Cover Co.
You've made a big investment in your recreational vehicle, protect it inside and out. 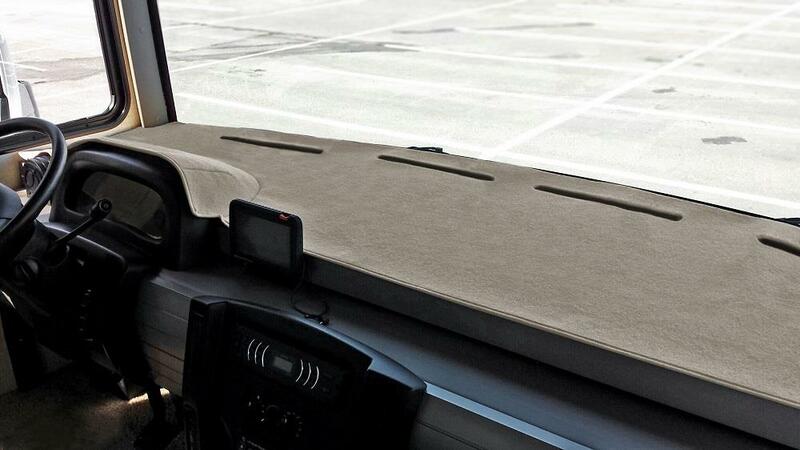 The blazing sun can wreck a dashboard, but not with one of these Dash Designs Poly Carpet Rv Motorhome dashboard covers in place. Industry-leading precision patterns and the hand-finished details ensure a great fit. These dashboard covers are available in a wide variety of colors to perfectly complement your interior. 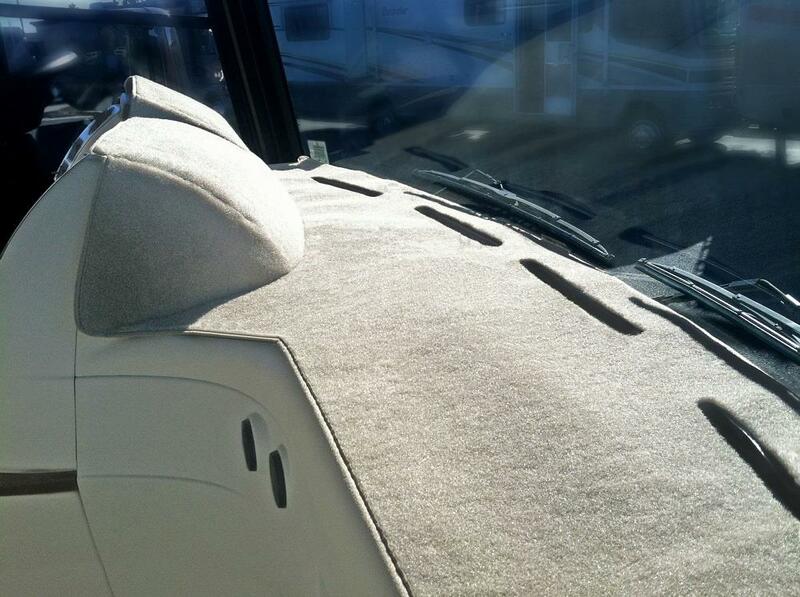 Custom dash covers for Motorhomes. Digital CAD/CAM Patterns ensure the very best fit and appearance. Reduces annoying glare and dust. Easy installation with included Velcro tabs. 9 different color choices to compliment most any vehicle interior. CAD/CAM digital patterns ensure outstanding fit and finish. Protects your dashboard from the sun and harmful ultraviolet rays. 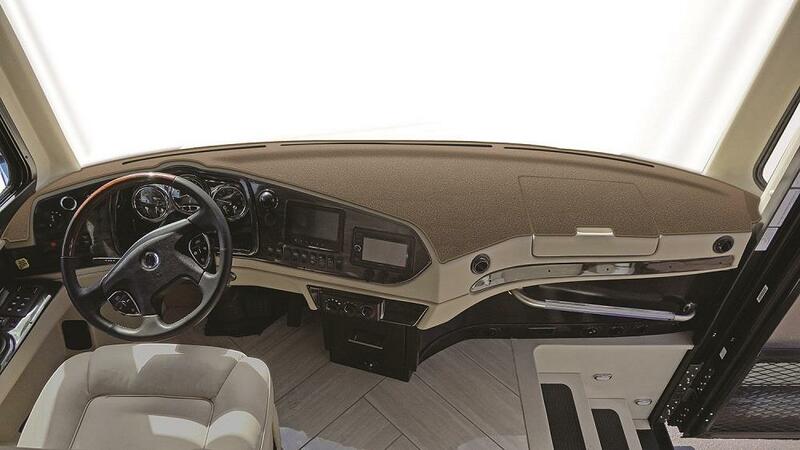 Dress up and personalize the interior of your vehicle. Reduce dangerous glare and reflected heat. Installs in minutes with handy Velcro tabs provided. Please note defroster vents may not come cut out. 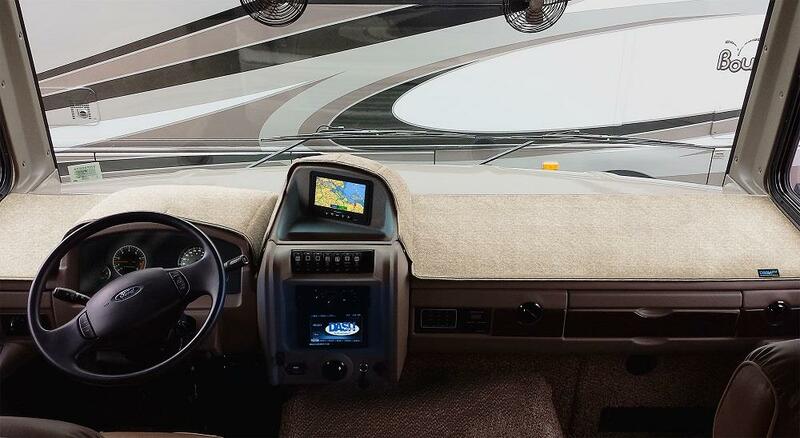 Because most Motor Home dashboards are custom made, variances in the placement and location of the defroster vents often occur. In order to get the correct placement for your particular dashboard, you (or a qualified professional) may have to cut out the defroster vents. Please contact us if you have any questions. Dash Designs® uses the latest in bar-code tracking technology along with 2 quality control checks to ensure that each dash cover is custom tailored to the exact specifications of your vehicle.